Internal scoop holder stays above ice line, promoting easy access and better sanitation. 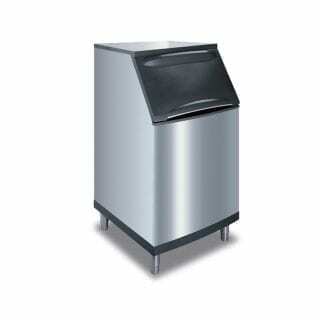 Bin door holds open while in use via a patented hinge pin design. PVC base moulding protects metal from dents and scratches when cleaning beneath the bin.